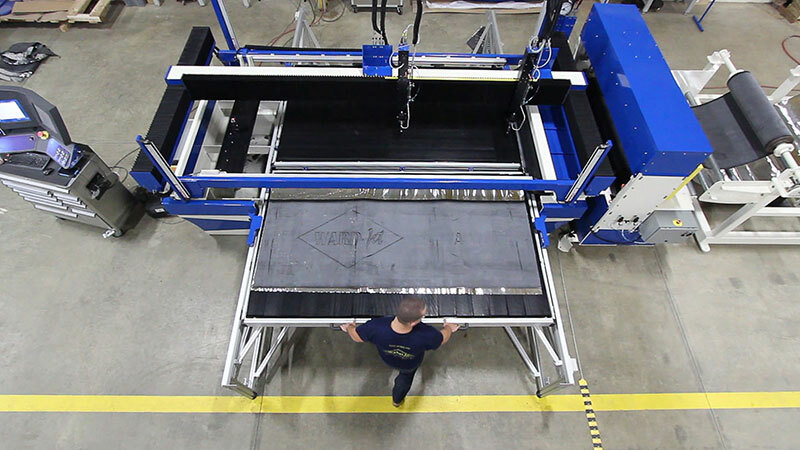 Water-only waterjets are a relatively new concept for a lot of companies, but WARDJet has been developing systems for water-only applications for years. 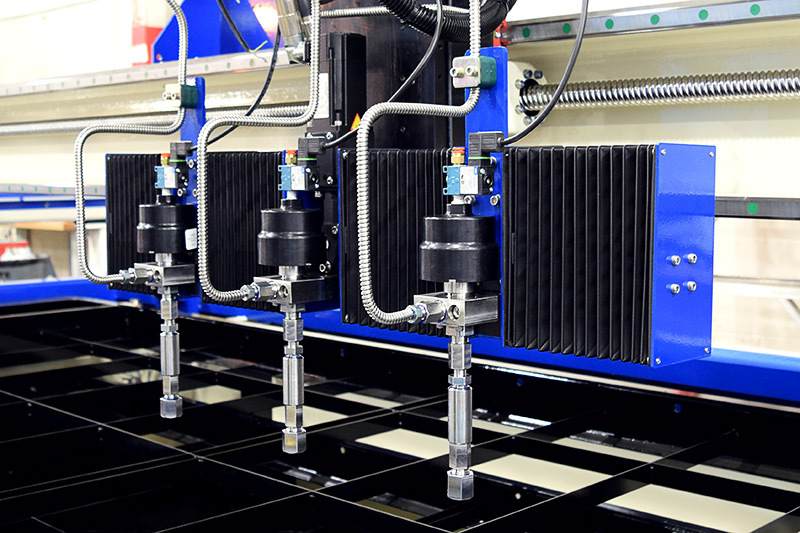 Our trademark water-only waterjet systems have been tested and proven to perform for many unique applications. Our water-only waterjets are ideal for cutting a wide variety of materials. 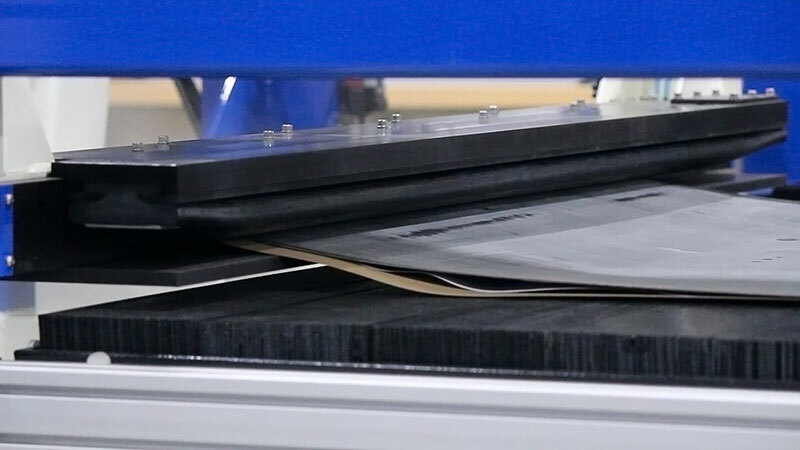 Because of the narrow kerf of the high-pressure stream, the intrinsic properties of the materials are not altered in any way during the cutting process. 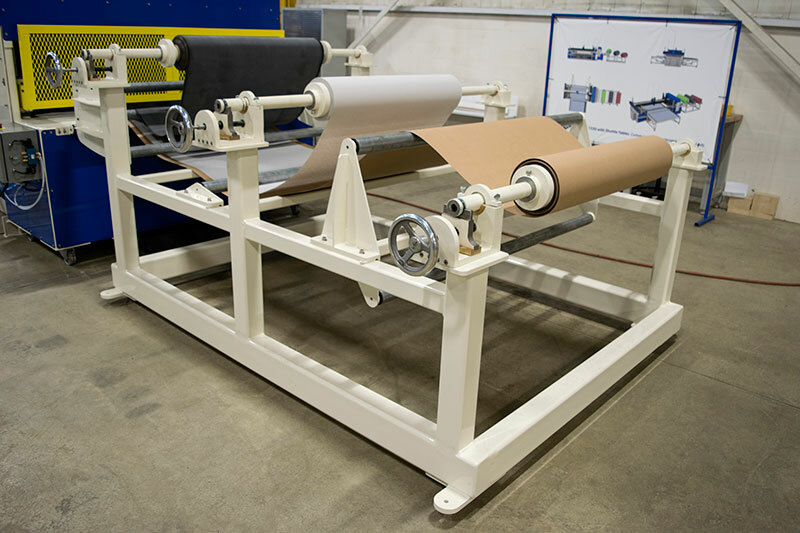 Main advantages of water-only cutting over dies, knives, and lasers include: Reduced Labor Costs, Automated Loading Options, Environmentally Friendly, Common Line Cutting, Material Stacking and unlimited set-ups. 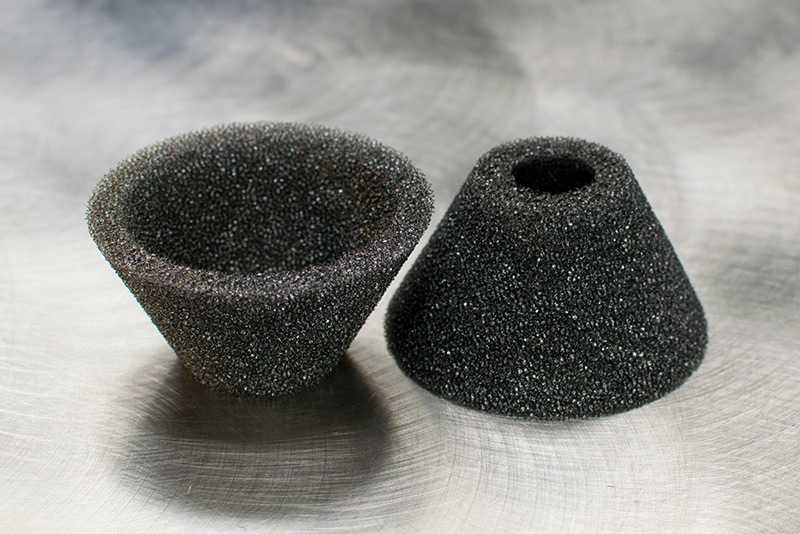 For this example, WARDJet’s test cut engineer used a single cutting head outfitted with a 0.007” water-only orifice. 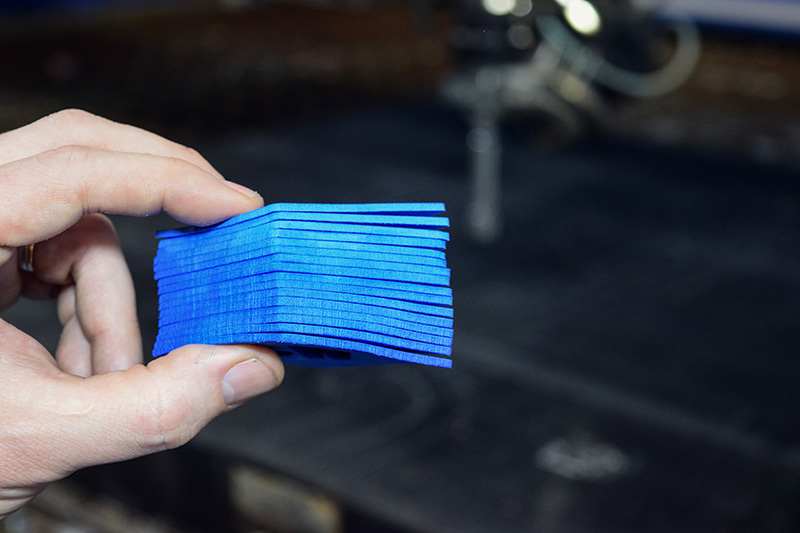 A 0.007” orifice produces a stream of water thinner than a credit card, which means precise cutting and minimal wetting of material. This 2mm closed cell EVA foam was cut using WARDJet’s showroom model ZX-2543-5 waterjet which can reach speeds up to 500 inches per minute. 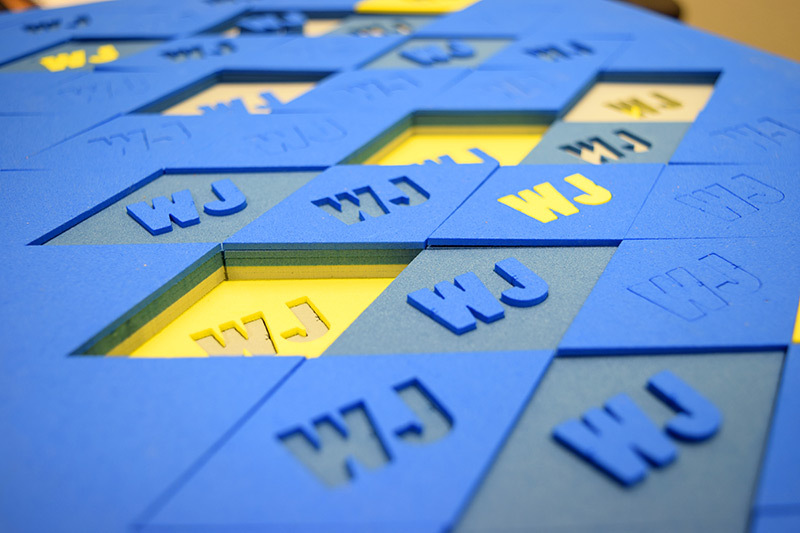 The sheets of 2mm foam were sized roughly 12” by 18”, and IGEMS software was used to optimize 43 nested parts per sheet. 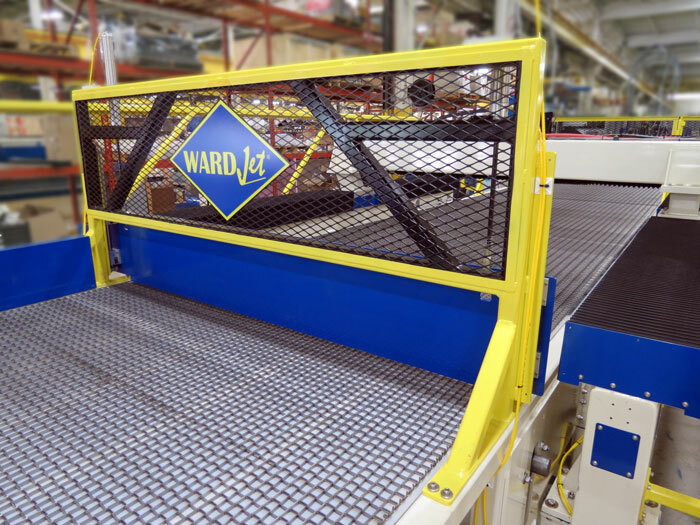 The part program was designed to use common line cutting to reduce the overall length of the cut. 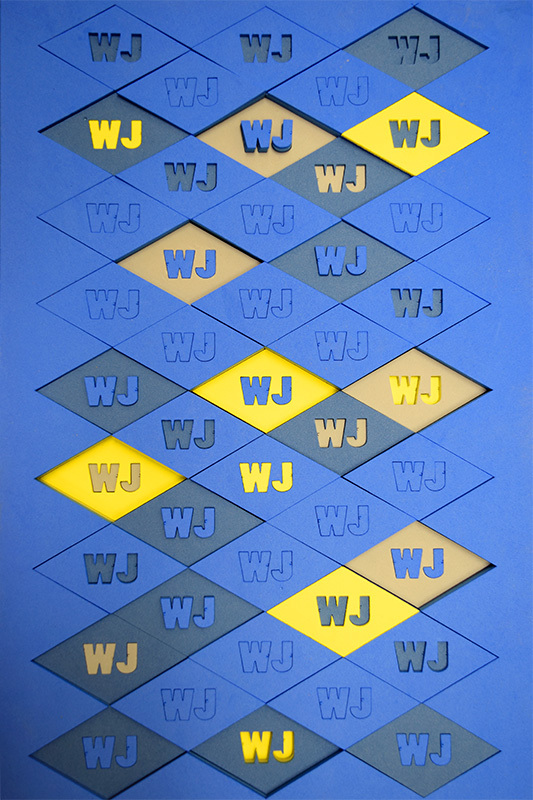 Sheets were also set up 16 layers thick to illustrate waterjet’s stacking ability. Overall, the program took 13 minutes and 2 seconds to cut all of the parts. Quick math will show that a part was cut every 1.14 seconds! Get a look at Water-Only in Action! 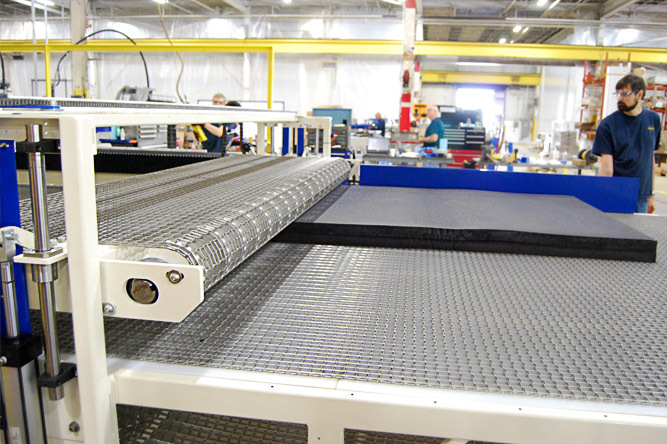 Cutting with water-only waterjets can reduce labor costs, automate loading, and increase production. 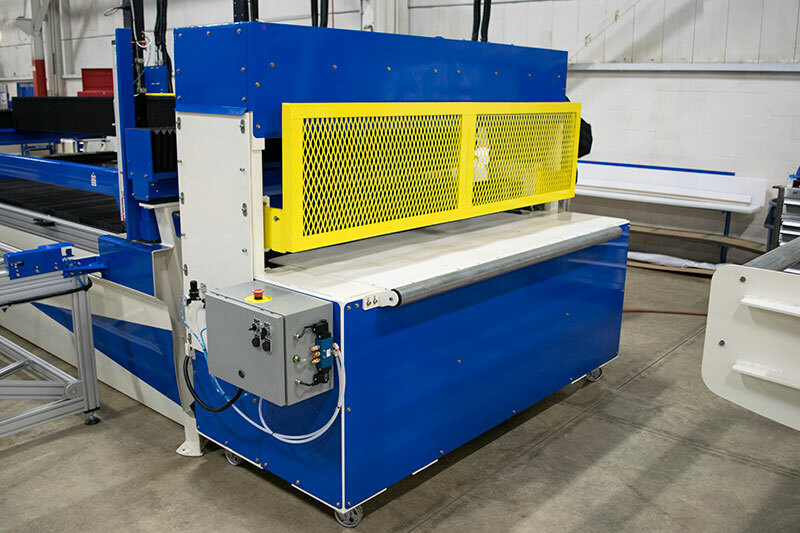 Take a look below and see the competitive edge our waterjets can provide to your company. Keep in mind that this is only the starting point and our waterjets can be tailored to your specific needs.